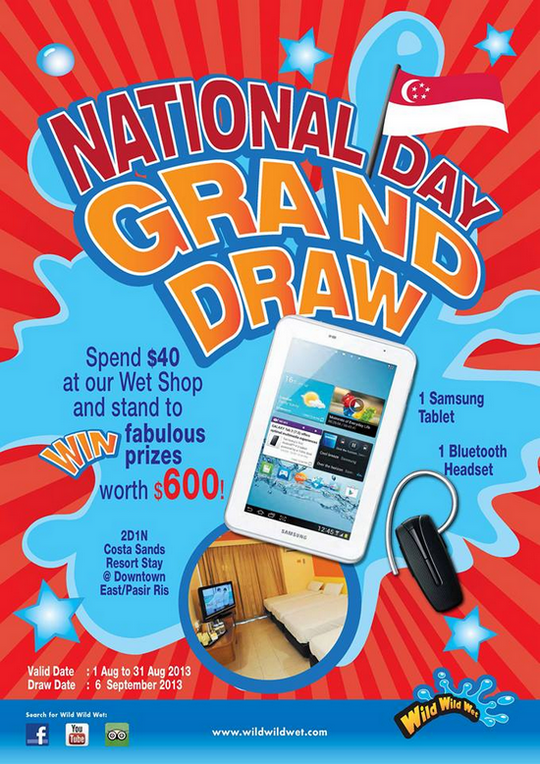 Wild Wild Wet National Day Grand Draw – Win Samsung Tablet! Chance to win 1 Samsung Tablet and Chalet stay when you spend $40 or more at our Wet Shop! So visit our Wet Shop this August 2013!